Meet Ashley Johnston, proud mother of two and creative blogger. Her recent blog posts include the mail organizer and the owl tutorial. Ashley is inspired by life all around her. She finds ideas in magazines, online and in the streets and then thrives on discovering how to re-create them. 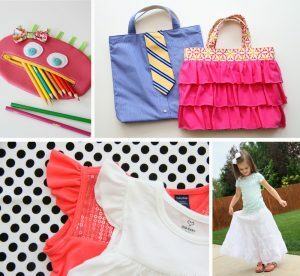 She finds time to construct these beautiful, unique items during naptime or late at night and most enjoys creating charming things for her home, family and friends. My interest in sewing began as a little girl. I used to watch my mom sew and sew for miles and wondered if I would ever be as good as she was. She used to take my sisters and I to the store as little girls and let us pick out our own dress patterns for Easter each year. Then we would gather the fabric and supplies and we’d watch in awe as she’d make us the sweetest dresses for Easter Sunday. Eventually, when I was 9 or 10, she began letting me cut out the pattern pieces and maybe sew a few stitches but she’d finish up the dress for us. By the time I was about 14, I started spreading my own patterns out, cut up the fabric myself and would put together my own dresses, asking help when I needed it. From there, I ditched the patterns and would make pajama pants and basic elastic band skirts for me and my friends. It was thrilling to put things together that were my very own creations. 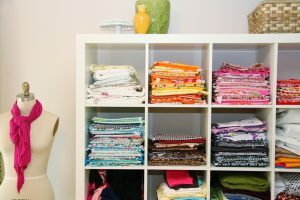 When I left home for college, my sewing machine and I became best friends when I realized that I could make things that I saw in the store or in a magazine, for much cheaper…..and with my own flair and size adjustments. Completely exciting. 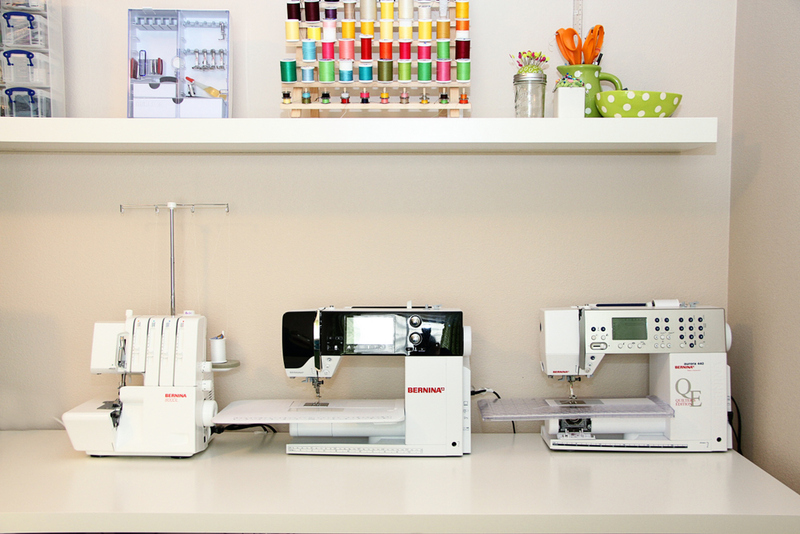 When did you start working with BERNINA? I started working with Bernina about 2 years ago. 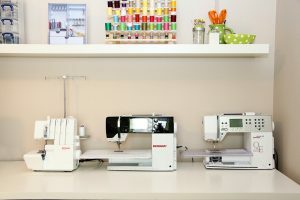 I fell in love with the Bernina brand when I took a basic sewing class in college over 10 years ago, and used an older model Bernina for my sewing assignments. Unfortunately, that’s the only class I took. 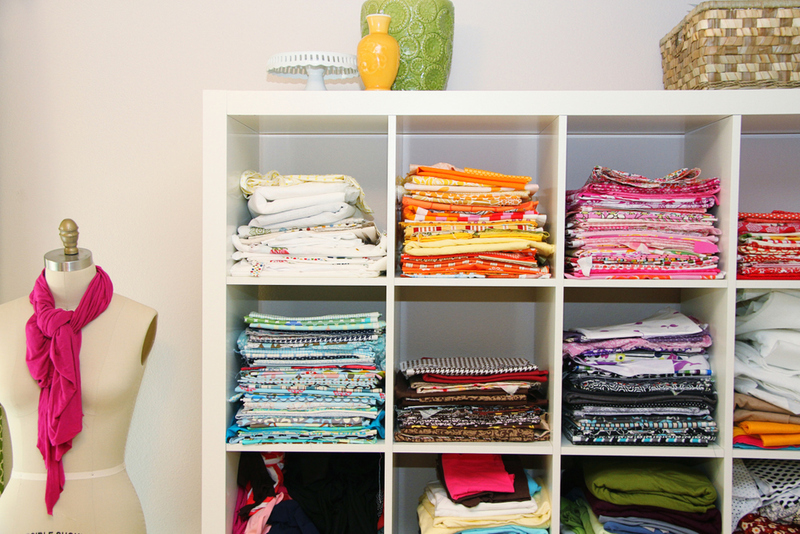 I’ve been a Bernina fan ever since……so teaming up with “We All Sew” was a no-brainer! Here are a few projects from my first year working with Bernina. What project have you just finished? Hmmmm, well, there are lots of “just finished” projects. Ha ha! 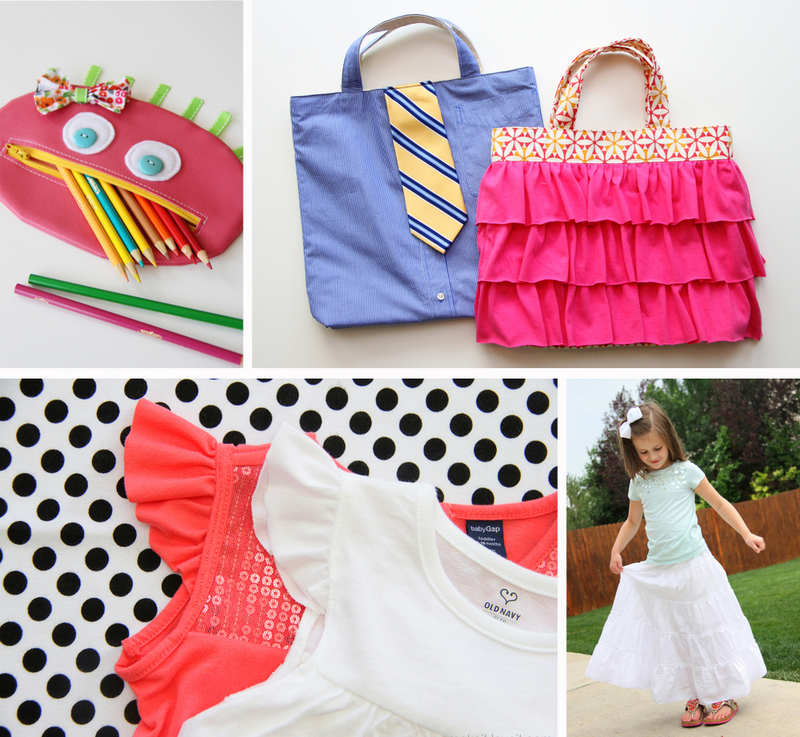 I have 3 little kiddos who are very fun to sew for (ages 1, 4 &amp; 5). They always need a “new this” or “new that”…….so they certainly keep my sewing machine buzzing. So, just recently, I have made pencil cases for school, turned long sleeve shirts into flutter sleeves, made little church bags for them to carry quiet activities inside, new skirts, etc. I can’t help myself! Making things in mini sizes is really satisfying. And addicting! 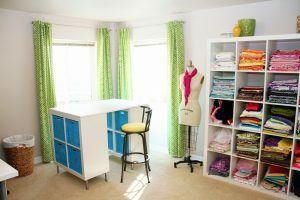 What machine do you currently sew on? Well, I sew on three. I own a Bernina 800DL (serger) and a Bernina 440QE and I LOVE them both! The 3rd machine is a BERNINA 580 E…..and that thing can do it all! I have never used an embroidery machine before this year, and let me tell you, I am smitten! 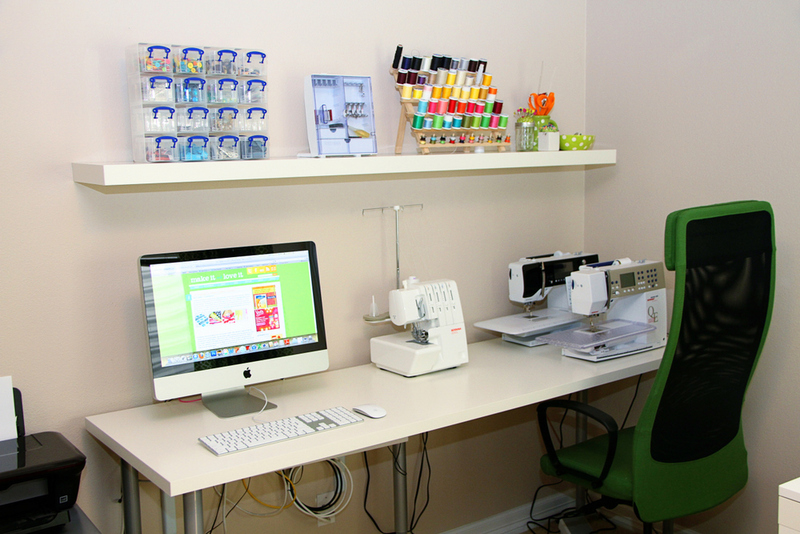 Tell us about your sewing space. 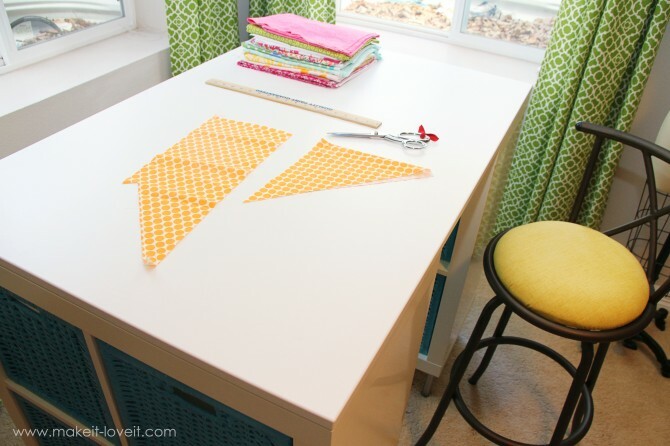 Well, I sewed for years and years at my kitchen table. And we all know how fun it is to clear away a half finished project when it’s time for dinner. But a few years ago, we moved into a place which had an extra room that I originally used as my sewing room. But after having our third child, it quickly transformed into a sewing room/baby nursery. However, we have moved again and I now have a room dedicated to my sewing/crafting habit. There are no babies kicking me out of this room anytime soon! It’s not quite finished how I’d like it but at least it’s finally organized and functional. And because I run a busy crafting site, my computer is in the center of it all…..ready to upload pictures and tutorials of my latest creations. With the 440qe, can I use an updated version of the embroidery software? I would like to upgrade everything except the sewing machine. Thanks.